and Should Your Clients Switch? Whether you’re a financial planner, CPA or estate planning attorney, you have a great opportunity (as well as obligation) to properly advise your clients on how to best organize and manage their business entities now that the tax laws have dramatically changed. 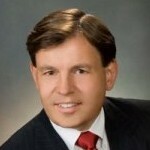 Please join us and nationally renowned CPA and tax expert, Robert Keebler, CPA/PFS, MST, AEP (Distinguished), CGMA, on Wednesday, May 29, 2019 at 9am Pacific Time (12pm Eastern Time) for a 90-minute presentation REPLAY entitled, “Choice of Business Entity after the Tax Cuts and Jobs Act”. Your registration includes: Participation on the live teleconference replay (including Q&A via e-mail) and PDF handout materials. The MP3 audio recording and/or PDF transcript may be added onto your registration during the checkout process for an additional fee. If you are unable to attend or wish to download these materials right away, you can purchase our On-Demand Program, which includes: Downloadable PDF handouts and MP3 audio recording. You can also add on the PDF transcript to your purchase during the checkout process for an additional fee. Includes: Participation in the live teleconference replay (including Q&A via e-mail) and PDF handout materials.